Aspiring to get more comments on Instagram? I don’t have to tell you how powerful Instagram is. It’s the second largest social media platform in the world, with hundreds of millions of monthly active users. Instagram has gone from being a social media platform that was been considered something for kids and teens, to now being an important part of some of the largest billion dollar companies’ online marketing strategies, as well as an important marketing tool for startups and small business. What’s more, Instagram has enabled anyone to establish themselves as industry leaders, also known as influencers, and build a large following of engaged fans. This has contributed to the birth of some of the biggest social media celebrities and influencers. On Instagram, the numbers, also known as vanity metrics are looked at very seriously by many of the users on Instagram. Questions like ”how do I get more followers?” and ”how do I get more comments on Instagram?” are frequently being asked around the web. Fortunately, no matter the reason you want to get more comments on Instagram, there are approaches you can take, and tactics you can use to boost your vanity metrics on Instagram. In this post, we’ll be focusing on how you can get more comments on Instagram, and I’ll be sharing some of my dearest, proven tactics that I have used to significantly increase the number of comments I receive on Instagram. If you follow these tricks, you will be able to see a significant increase in the number of comments you receive. I’ve read a lot of opinions and ideas about this topic, and I can say the reasons that people want more comments on Instagram, and the reason they want more followers differs a lot. Some people want to get more comments on Instagram just because it makes them look more popular, and therefore boosts their ego. And that’s fine, the tactics I am about to share works no matter what your ”why is”. The most common reason that people want more comments is a bit different, though. Normally, the people who are focusing the most on increasing their comments on Instagram is influencers and businesses, who are using or are looking to use Instagram as a business and marketing tool. This means that it is a place where people are meant to be social. What’s more, it’s also a place that people go to because they want to be social. They go there to engage with their friends, interact with their peers, and build relationships with brands. 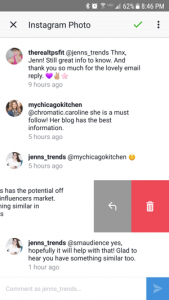 As a brand or influencer looking to build your audience, customer relationships, and increase customer and audience loyalty, comments are a crucial part. I often emphasize that social media is a relationship tool, not a marketing tool, and more and more brands are starting to understand just how true it is. People aren’t on social media because they want to have ads and promotions shoved in their face, instead, they are using it to engage and interact, and when you can approach your audience or customers in that matter, you will start building relationships with your audience, which in turn lead to customer loyalty, increased trust, and eventually, a long-time fan and supporter. This is something that is valuable no matter if you’re a brand or a person who is just looking to grow your influence because when you have eyeballs and people’s attention, you can do a lot. Without the attention of people, you can’t do anything. This is the fundamental reason you should want to get more comments on Instagram because while getting more comments from an ego perspective is fun if you’re all about it, getting it from a relationship and loyalty perspective is a lot more valuable. You might be wondering what comments have to do with all of this, but the fact of the matter is that comments on Instagram are one of, dare I say it, the number one most important place and method of communication between individuals (including brands) on Instagram. ….But only if you use it correctly. The whole idea is to get more comments on Instagram in order to get a more engaged and loyal audience, which in turn leads to something much more valuable than a high number on your ”comments” section. Remember this, the number of comments mean nothing. It is what that number resembles, and more importantly, what those comments say that’s interesting. Sure, while having a high number of ego can boost our ego unless they’re genuine comments which resemble an engaged and loyal audience/fanbase, it means nothing. You know that receiving more comments on Instagram leads to improved relationships, customer loyalty, etc, but that’s not completely true. If someone leaves a comment on your post, you’re not social if you don’t respond. It is only when you respond that you’ll be able to successively build the relationship, and ultimately increase their loyalty and trust in you. Of course, having loyal fans is something that is incredibly valuable, no matter if you’re aspiring to become an influencer, a blogger, a successful business, or anything else. Because the success of which all depends on people, and whether or not they’re engaged in what you do, and if you can captivate their interest. 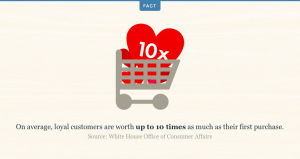 Additionally, the likelihood of selling to an existing and loyal customer is a lot higher than selling to a new one. And the good news is that improved customer relationships are an important part of that, and getting more comments on Instagram helps improve customer relationships. As a brand, customer relationships are everything. 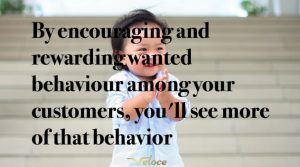 The good news is that the way you can build customer relationships today looks a lot differently from the way brands built relationships back in the days. Back in the days, you’d have to meet people face-to-face, one-by-one, and talk totem. But today, with the help of the internet and social media, you can communicate with your audience at scale, no matter where in the world they’re located. And getting more comments on Instagram is the first step to doing just that. Another important reason that you should want to strive to get more comments on Instagram, and a reason that many people do, is because of the Instagram algorithm. The algorithm on Instagram decides what posts from the people you follow you see in your newsfeed, instead of presenting it in a chronological order like it used to do. This algorithm presents content in your feed based on a number of different factors, and one of the most important factors are the posts and accounts you’ve engaged and interacted with earlier. If you get where I am going with this, you understand that by increasing your engagement on your posts, and getting your audience to engage with them (i.e comment), the Instagram algorithm will think that your content is very relevant to the person who is engaging with it, and so, it will rank it higher in their newsfeed, which means they’ll have a less likelihood of missing your posts in the future. As you can imagine, this creates a sort of positive circle for you, because by focusing on getting more comments on Instagram, the algorithm will give your posts more exposure, which in turn leads to further engagement for your posts. Now, you might be thinking, what does this have to do with getting more comments on Instagram? But the answer is a lot. Without content on Instagram, you have nothing to provide your audience. Your account will just be an empty shell. But just sharing content isn’t enough either. Because more than 95 million posts are shared daily on Instagram, and each piece of content is fighting for a space in people’s feed. This means that the competition of getting into people’s feed is tougher than ever, especially considering the fact that the content that you see in your feed is decided by an algorithm, which takes engagement very seriously into consideration. If you share mediocre content on Instagram, your posts will struggle to cut through the noise, because there’s simply so much other content out there. Therefore, a precondition for succeeding in the competitive landscape of social media, and most importantly, get more comments on Instagram, is to share amazing, attention-grabbing content that gets people to stop scrolling, impacts them, and then makes them comment on your post. If you don’t, they’ll just scroll past it, and I promise you, they will definitely not comment on it if that happens. I promised that if you follow these tactics, you’ll get more comments on Instagram, but sharing high-quality content really is a precondition for all of the other methods. Similar to how building a house on a foundation that is falling into pieces is a bad idea. I really cannot emphasize how important this is, and it is also the tactic that I have personally used, which have proven to have the single largest impact in boosting my engagement and number of comments I receive on Instagram. Like I said earlier, Instagram is a social media platform which means that you’re meant to be social. Just because the conversations take place on social media doesn’t mean that the principles of human interaction are any different from human interaction in real life. It means that if someone talks to you, what do they expect? They expect you to respond, of course! If you don’t respond, they’ll think ”what a douchebag”, leave you, and never come back. If you’re a business, they might even leave you for your competitor. If you do make it a principle to respond to every single comment you receive on Instagram, you send a number of positive signals to your audience. First off, you show your audience that you care about them and that you value them. If we humans feel that we are seen, and not ignored, we’re much likely to hand around. What’s more, by responding, you take the opportunity of engaging with them, and the only real way to build a relationship with someone is to interact with them, time and time over. If you are looking to leverage Instagram to build a more engaged audience, there are two ways to go about doing this, although both of which are dependent on interaction. The first way is to hope that people come to you and take the first step (comment on your posts), and the second method is to actively go to them and make the first step. Which do you think is the easiest? The latter of course, and so when you receive comments, make sure that you respond to every single one of them because when you do, you dramatically increase the chances of them coming back and commenting on your posts in the future. Some of my most loyal followers on Instagram are people who have been commenting and engaging for several years, and the reason is that I, every time, have responded to their comments and showed that they are important and that I value them. And what responding has done is allow me to have deep and genuine conversations with them, which has further boosted their loyalty. One of the most common tactics you’ve heard to get more comments on Instagram is probably to run a contest or giveaway, and that’s because it is truly effective, and can skyrocket your comments dramatically. But there’s a catch, though, and something you need to ask yourself first. If the answer is because you think it looks good, then it obviously doesn’t matter what those comments are, or what they resemble, but if you want more comments to increase customer loyalty and your Instagram engagement, then you need to be a little more picky with how you set up your comments. First off, the better prize you have in your contest/giveaway on Instagram, the more contestants you’ll have. But the way you set up your giveaway, and the rules of entry you set up have a significant impact on what type of comments you’ll receive. 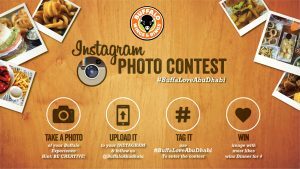 One of the most common ways of running an Instagram contest on Instagram is to ask people to tag a friend in the giveaway post, and that is incredibly effective not only for getting a lot of comments but also for increasing your page’s exposure, increasing the number of contestants, as well as growing your follower count. The problem with this, though, can be that you’ll only get people tagging their friends. And from your side, those types of comments aren’t a lot to engage with, and secondly, they’re not very thoughtful and genuine and doesn’t get the people to become impacted ad engaged by your brand or message. help you get more comments, since people will comment because they want to win, and second, make them think about your brand, and really be thoughtful in what they are writing, and thirdly, give you incredibly valuable information, about them which you can then use to respond to their comment and continue the conversation with them to start building your relationship. Another simple and fun way of setting up a contest is to ask your audience to guess something, for example how many tennis balls there are in a bucket that you’ve shared a photo. Rather than having them just tagging a friend without much thought, they’ll stay at your post longer, and try to think about the number they should guess. To me, it’s amazing how you can get so many more comments on Instagram just by using this simple step. But really, it’s not that strange, really. If you share a post on Instagram, people don’t always know what they should comment, and so they just continue scrolling. However, if you ask a question, you speak directly to them, and so they’ll be much more likely to respond. Asking questions is not the only way to get more comments on Instagram. Ask and you shall receive is a principle that I’Ve found to work quite well when it comes to comments on Instagram. In other words, if you want more comments on Instagram, simply ask people to comment. Of course, just saying ”comment below” won’t do a lot, because you need to present something that they can comment about. For example, if you share a sneak-peak of a new product you’re releasing, you can say ”we’re releasing a new product, guess in the comment section below what you think we’ll be releasing”. The principle is very similar to asking questions, only that you use a slightly different terminology. You can ask them to share a story, tag a friend, etc. Generally, we humans are quite lazy, especially if we’re just scrolling Instagram without a mission, and so by making your comment calls to action simple, you can increase the chances of getting people to comment. For example, you can ask your audience to comment ”agree or disagree” depending on what their opinion is on something that you bring up. The majority of content being shared on Instagram is still photos, but videos on the platform have seen a huge upswing in recent years, with time spent viewing videos on Instagram increasing by 40% in 2016. This is a tremendous whitespace for you, because the interest in video on the platform is clearly high, at the same time as the supply of video content isn’t very high. This means, that by sharing video content, you can stand out from the crowd, and receive a higher number of comments. On social media, you always want to give people what they want for optimal engagement, and right now, they’re screaming for video content. A precondition for getting more comments on Instagram is actually having people see your content. I mean, it’s quite hard to receive more comments if nobody is even seeing your posts. This is why, naturally, if you get more people to see your content, you’ll get more comments on Instagram. But then, you can, of course, use all the other tactics I’ve mentioned to further increase your comments on Instagram. Hashtags on Instagram have proven to be incredibly effective in increasing your exposure, and therefore also your engagement, which includes the number of comments you receive. In fact, Instagram posts with at least one hashtag have 12.6% more engagement than those without. Just imagine what 30, which is the maximum amount of hashtags does. When using hashtags, be selective though. A common misconception is that you should use the ”most popular hashtags on Instagram”, and while those increase the engagement on your posts, the likes and comments normally come from bots and spammers, and you obviously cannot build relationships with bots, so instead, focus on using industry-related hashtags that attract people who are genuinely interested in your niche, and that will leave thoughtful comments on your posts. Responding to your comments is one thing, and a very important part of getting people to comment on your posts again, but when doing that, every now and then, you want to explicitly thank them for their comment and their support. This is another tactic I use constantly and consistently and have found to be tremendously effective for getting people and thus get more comments on Instagram. We, humans, feel the need to feel appreciated, needed, and loved, and simply responding to your comments might not always do that. Now, you don’t have to thank the same person every single time you respond to their comments, but it’s better to do it too much than too little. A simple ”thank you for your support” will go a long way, but of course, the more you write, and the more genuine you are, the more you show that they are worth your time, and how much they mean to you. ”Thank you so much for your support, (their name)! I/we cannot thank you enough or tell you just how much your comments mean to us. When you show that you appreciate their support, and their comments, they’ll continue to comment. It’s human psychology. Okay, so you’ve probably realized that there are ”two ways” to get more comments on Instagram. The first way is by making sure more people find your content, and the second method is by using tactics that increase comment rate, in other words, the percentage of people who comment among all the people who see the post. Both of these approaches should work together in harmony, because you’ll get the best results by working on both, rather than just neglecting one of them. On Instagram, there are a number of ways you can increase the number of people who see your content, and I’ve already mentioned hashtags. The other, maybe most obvious and common way to do this is to increase the number of followers you have. Because the more followers you have, the more people you’ll be able to reach with your posts, and ultimately, the more comments you’ll have. On Instagram, there are a ton of different approaches you can take to grow your follower count, and in this ebook, I share with you how I have grown a total of 1M+ followers on Instagram. Content that affects us emotionally, whether it makes us cry or laugh, tends to get us to act. What’s more, it is also proven that the majority of content that goes viral plays on humor, and that’s maybe not so surprising considering that we tend to want to share things that make us laugh, since shared happiness is double happiness. You’ve probably come across posts on Instagram which play on emotions and found that they have an insane amount of comments, and the good news is that you can get so too. The best emotion to focus on evoking with your content is happiness/making people laugh. Think about what your target audience might find funny, and then create humoristic content around that. If you succeed in creating amazing content that is distributed in the right place at the right time, you’ll be able to see your comments skyrocket. A way of getting more comments on Instagram that isn’t discussed too often is boosting your posts through Instagram ads. Boosting your posts drives more exposure to your posts, and will, therefore, give you more comments on Instagram, and it does so without you having to do anything else than just set up the ads and watch the results rolling in. …Well, you’ll also have to pay, of course. But the point is that with Instagram ads, you can drive results instantly, rather than having to spend months and months to grow your audience in order to reach more people, and in turn get more comments. With ads, you let your money work for you. When setting up your Instagram ads, you can choose different ad objectives. Since your goal is to get more comments on Instagram, simply choose the objective ”engagement”. The best part is that through boosting your posts, you will give it social proof. This social proof will, in turn, bring more organic engagement. To boost your post, you need to convert your account into a so-called business account. Then, when you’ve done so, below each of your posts you’ll have the option to ”boost post”. Tap that button on the post you wish to boost, choose your budget, and choose the duration of your ad, and then you’re ready to go. While asking questions in you captions work, Instagram is still a visually-driven platform, which means that people using it are more focused on the visual content than the text. In other words, many people will scroll past your post without ever reading the caption, and if that is the case, what will happen is people will miss your question that you asked in your caption, and therefore, they won’t be able to answer your question either thus making you miss out valuable comments and opportunities to engage with your audience. To make sure that no-one misses your question, write it on top of a visual as an overlay on your image. Things that are controversial spark a lot of debate, because there are always two sides that have split opinions. As a brand and even someone with the reputation on the line, you need to be very careful with sharing inappropriate things. And do one that there’s a difference between inappropriate content ant controversial content. By sharing controversial content, you can spark debate and get people engaged in the topic, and often times, they’ll be encouraged to take part in the conversation by commenting just because they want ”their side” and their view on the topic to win. If you can do this without stepping on people’s toes too much, and avoid it backfiring, you’ll get much more comments on Instagram. Humans relate with other humans, and with that said, it’s not very strange that an analysis of more than 1 million Instagram posts found that posts with human faces are 32% more likely to attract comments and 38% more likely to get likes. The recipe for getting more comments is therefore simple. Start posting more selfies, photos of your team, your co-workers, etc. Social media is called social for a reason. If you truly want to succeed on social media, you shouldn’t just use it as a promotional tool, but rather, you should use it as a relationship tool which it is intended for. There are many ways to get more comments on Instagram, and by getting them, you can build and strengthen your relationships with your audience.